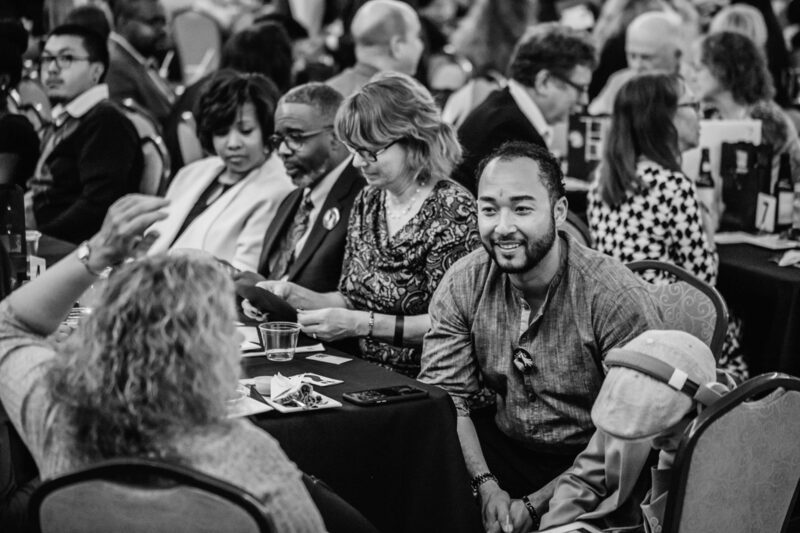 We bring people together across race, class, culture, and other means of self-identity to find common ground on important public policy issues. 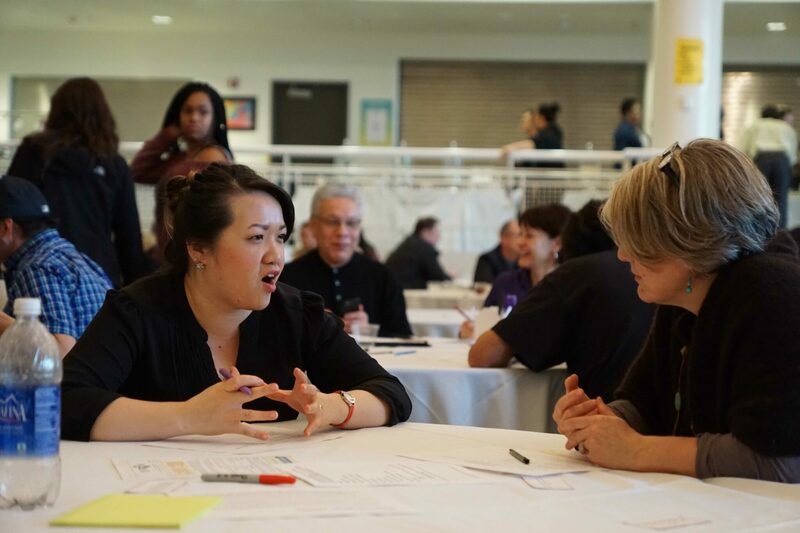 We create spaces for the unheard to find voice and foster connections across systems to better respond to inequities across healthcare, education, and social justice by providing the tools and environment for people to connect and collaborate more effectively across difference. Importantly, this means that we seek to ensure that ALL stakeholders are included in the conversations that affect them. There’s always room for another seat at the table. We use a model called Intentional Social Interaction (pronounced “IZI”) to engage warm, authentic connections and catalyze bridging social capital as we partner with communities in participatory action research. Marnita’s Table seeks to close gaps across difference through making Intentional Social Interaction (“IZI”) the new pattern for society where people of color, the disenfranchised, the poor, the unheard, the fragile, the LGBTQ+, the traditionally unheard and excluded are actively and intentionally included and valued at the policy-making and resource-sharing table. How do I learn more about Marnita's Table? Attend a quarterly Tea at the Table information session or attend IZI 101 training to learn about the five foundational roots and 20 touchpoints of IZI. Where does Marnita's Table get funding? Although Marnita’s Table is a 501c3 nonprofit organization, about 30% of our funding comes from grants and private donors, while the remaining 70% comes from nonprofits, governmental, nongovernmental and community organizations that hire us to help “close the gap.” As a mission-driven organization, our projects are selected with our mission in mind – so we only work with those who have identified a clear and pressing need to bridge differences and find common ground in an effort to reduce disparities and inequities wherever they may be found. Thanks to the generous support and championship of Hubert Joly (CEO, Best Buy) and the commitment of the Catalyst Initiative of the George Family Foundation, we are fully funded to develop our platform and optimize our capacity as we take this model nationwide over the course of the next 3 years. Our clients hire us to create systems change – and we take that seriously. Please go to our Funders and Sponsors page for our client list. Our 2015 Annual Report has our most updated list of clients. Our 2016 annual report will be available soon. What communities does the table work in? We go wherever there is an urgent and compelling need to bridge race, class, culture and other means of self-identity. Much of this work occurs in collaboration with governmental and non-governmental organizations, nonprofits and community entities, joint powers boards, cities, counties and school systems. 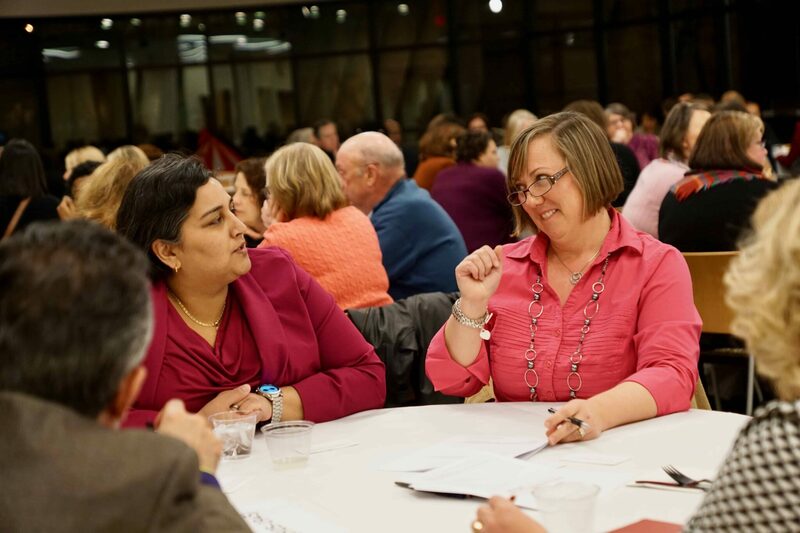 In ten years, Marnita’s Table has transitioned from small home and community-based projects as we deepen our focus on creating meaningful, collaborative and lasting systems change. It is our goal to train as many people as we can in the model of Intentional Social Interaction in order to make authentic welcome and inclusion the model for society. What is Intentional Social Interaction (IZI)? Intentional Social Interaction (“IZI”) is a model with 5 guiding roots and 20 touchpoints designed to break one’s preconceived notion of the “other” or those who are different from us. IZI is based on peer-reviewed research and the experience engineering techniques used by corporations across the globe to convince people to part with their money. Instead of using these techniques to develop a more efficient way to imbed consumerism, we have taken the underlying concepts and applied them to create the environmental conditions necessary to promote openness, authenticity and connection as we engage communities in important conversations and initiatives around education, social justice and integrative and community health and wellness. How do I learn more about IZI? Marnita’s Table holds a quarterly information session called Tea at the Table where a brief explanation of the IZI model is given. For more in depth information on IZI, we recommend the IZI 101-104 training which goes into more detail on our five guiding roots and 20 touchpoints. What makes IZI different than other models? 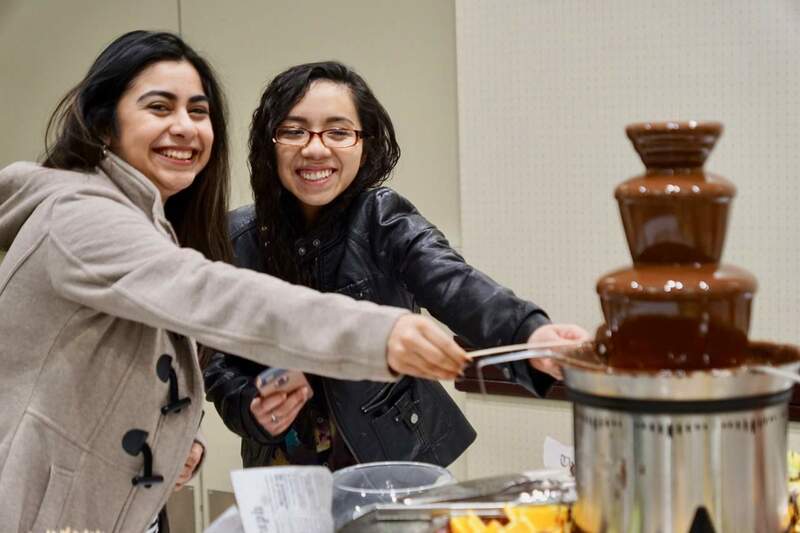 The Marnita’s Table model of Intentional Social Interaction is what sets our organization apart. 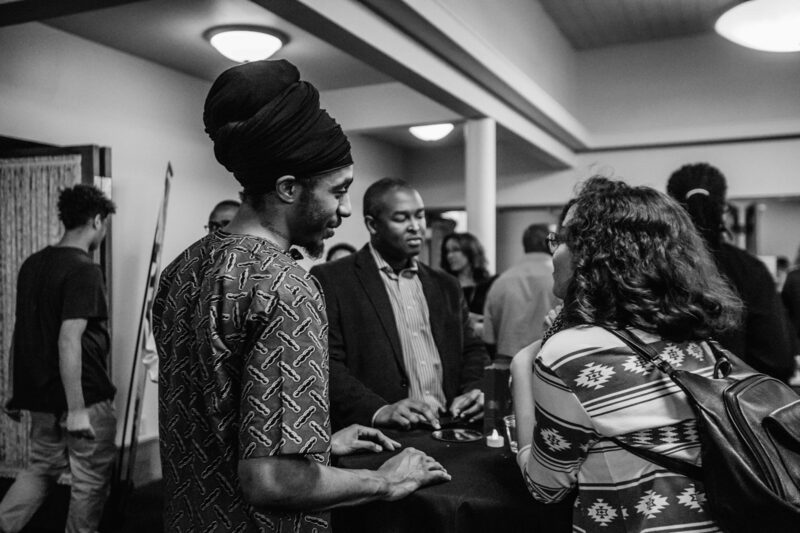 We create space for uninterrupted interaction between stakeholders and underserved communities. Every person in the room is given the chance to speak and let their voice be heard no matter their age, gender, color, or any other identity. There is always room at the Table. Marnita’s Table brings the community and resources together in one room. We do not give out any person’s contact information for any reason, nor do we share our contact lists. If you have attended an event or you plan to in the future, we suggest taking down the information of those you would like to follow up with. Can you help us attract youth? We do research on the community and personally contact youth organizations, schools and churches. We suggest that you do the same. Our team does research to find restaurants and caterers in the area of our ISI that represent the community. We suggest you do the same. Tell us more about your event. All speaking inquiries may be directed to Lauren Williams at lauren@marnitastable.org. Help me get people of color to . . .
Marnita’s Table is very happy with the diverse gatherings that we work very hard to create. IZI trainings are a great opportunity to learn how we go about doing this and what it means to be culturally aware and a true community partner. Can you be on our panel? Tell us more about your panel. Please email lauren@marnitastable.org for speaking inquiries. If you would like to host a table on this topic. Please come to a Tea at the Table info session or IZI training. I'm with a nonprofit, can you help me do my event? Can you make sure I'm on your list?/Invite me to future event? Please continue check our website and follow us on Facebook. We continue to add new events every season! Only you can determine which events match your interests. Can you write me a letter of recommendation? We love working with youth at the Table. It is a large focal point for our conversations. They are the future of the community and we like to support them in any way that we can. We write recommendations for youth that have directly volunteered or worked with the Table. It is important for us to know who you are and your unique strengths before writing a recommendation. If you would like to be a youth volunteer at the Table please contact lauren@marnitastable.org. I was deeply moved, we need this at our... what does it take? The Mother Table has spent years perfecting Intentional Social Interaction so that anyone could take the model and duplicate it. Marnita’s Table is currently developing online trainings and materials for you to use at your own Tables! We will continue to have in person trainings for those who are interested. This is great! Thank you for your interest in volunteering! Please contact lauren@marnitastable.org. Please look at the calendar to see what Tables work with your schedule. At Marnita’s Table we take mentoring and youth development very seriously. We believe that this is a big job and one that should not be taken lightly. Through the last year Marnita has been in the process of building her team and mentoring on an organizational level. However, if there is another member on the Marnita’s Table team that you feel connected to please do not hesitate to reach out to us. Congratulations on furthering your education! Our Tea at the Table info session is a great opportunity to learn more about Marnita’s Table and the model of Intentional Social Interaction. It is also a great opportunity to get face to face with the Team. Please check the calendar for upcoming dates and contact lauren@marnitastable.org! May I intern with your office? We are always interested in adding new skills to our team! You may submit a cover letter and resume to Lauren at lauren@marnitastable.org. In your cover letter please include what skills you currently have to contribute and what skills you may be looking to develop.